An MP has said that England should consider boycotting the World Cup in Russia over safety fears in the wake of the Salisbury chemical attack. 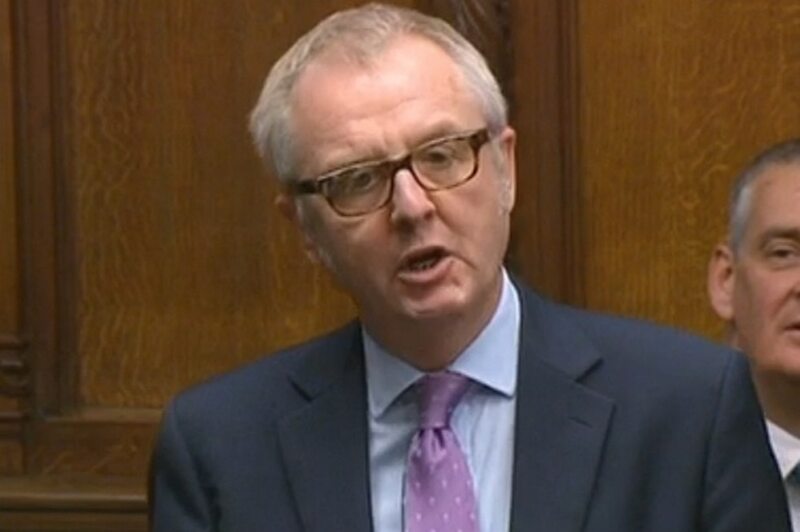 Ian Austin branded Vladimir Putin's regime 'a fascist, homophobic dictatorship' and raised concerns that the Home Office had put no extra measures in place to ensure the safety of English fans and players at the tournament. He said the Russian President wants to use this summer's competition to promote Russia in the same way that Hitler used the 1936 Olympics. "I am very concerned about the position that England fans could be in if they go to Russia in the summer," the Dudley North MP told the Express & Star. "We have to ask ourselves whether we are prepared to be involved in supporting a tournament that Putin wants to use to use to boost his image and to gloss over the abuse of human rights and the corrupt dictatorship that he is responsible for." His comments come as Boris Johnson confirmed that the Government was not backing calls for a boycott of the World Cup, although ministers and members of the Royal Family will not attend. Mr Austin is one of 16 Labour MPs – including West Bromwich West MP Adrian Bailey – to sign a motion saying they 'unequivocally accept' Russia's responsibility for the chemical attack that left former spy Sergei Skripal and his daughter fighting for their lives. He said: "There is widespread suspicion that Russia has got the World Cup through corruption. It worries me that Russia is not a safe place for either the team, or England fans to visit. "There was state sponsored violence in the European Championships two years ago, that was encouraged by Russian politicians and officials. "The Home Office has not been able to give concrete assurances that extra measures have been put in place to support the fans if the tournament does go ahead. "It is clear to me that Putin wants to use the World Cup in the same way that Hitler used the 1936 Olympic games. Putin’s regime is a fascist, homophobic dictatorship which does not care about the rule of law." Labour divisions over Russia have deepened over the past 24 hours after Jeremy Corbyn failed to condemn the Kremlin for carrying out the poisoning, and his spokesman raised doubts over Government intelligence. Mr Austin, who has been a vocal critic of Mr Corbyn's leadership, said: "Having listened to the Government’s statements, I don’t think anyone can seriously doubt that the Russian state was responsible for the poisoning of Yulia and Sergei Skripal, an outrageous attack which has also left the brave police officer, detective Sergeant Nick Bailey, in hospital. "This was the use of chemical weapons here on the streets of Britain, and it proves what I have been saying for years: that Putin is an old-style fascist dictator, a gangster who has enriched himself by looting billions from the impoverished people of Russia and a thug who murders his opponents in Russia and here in the UK as well." Mr Austin said he welcomed Theresa May's decision to expel 23 Russian diplomats, the decision not to send the Royal family to Russia until further notice and the call for a special meeting of the UNSC to discuss Russia’s use of chemical weapons in the UK. Last year Mr Austin moved a parliamentary bill to implement a full 'Magnistky Act' to freeze the assets of people responsible for fraud in Russia and to ban them from coming to the UK.